Detail of “The Hulsenbeck Children” painting, by Philipp Otto Runge in 1805-06. 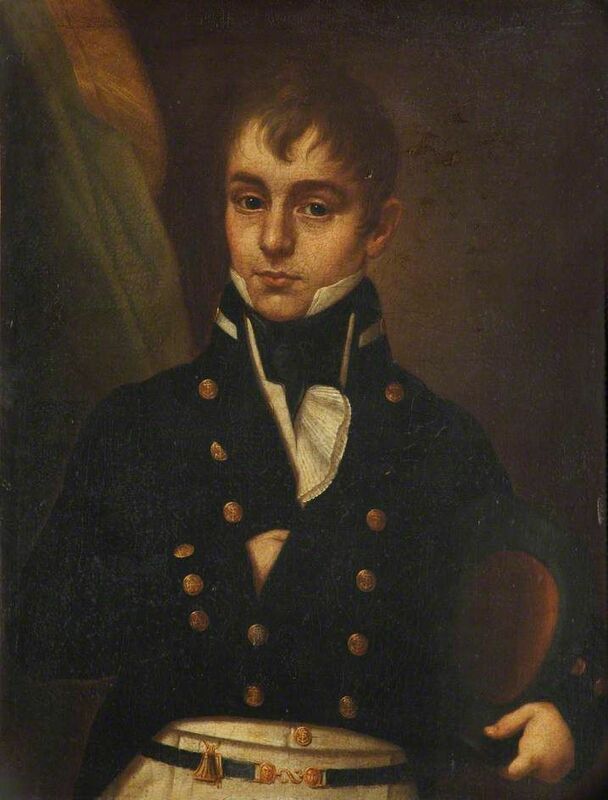 One of the children is wearing a short-sleeved skeleton suit, with the frilled collar of the shirt showing. 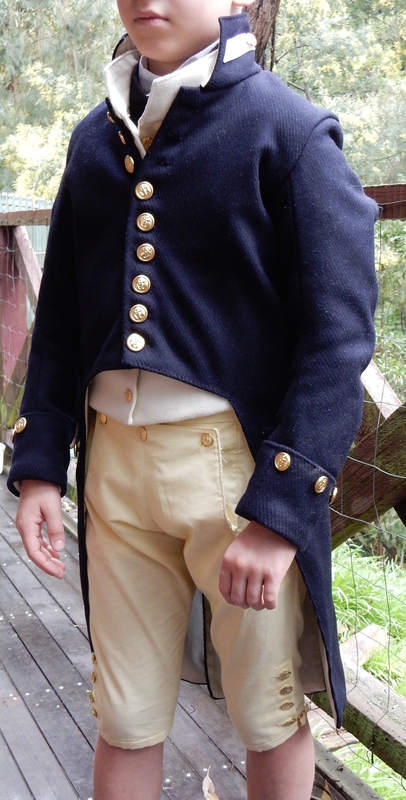 In less than two months I am attending the 2nd Annual Melbourne Regency Picnic, in Melbourne, Australia. 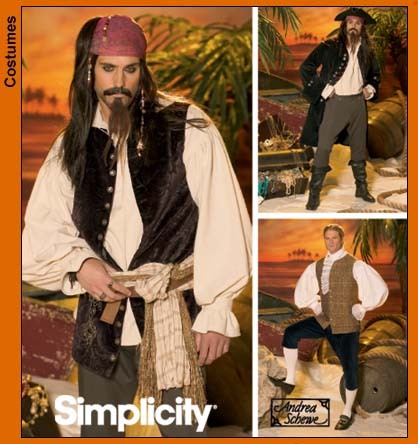 I have been busy making costumes for the remaining members of my family who have yet to be so privileged! I desperately needed to think of a costume for my two-year-old boy and I soon decided on making a skeleton suit. 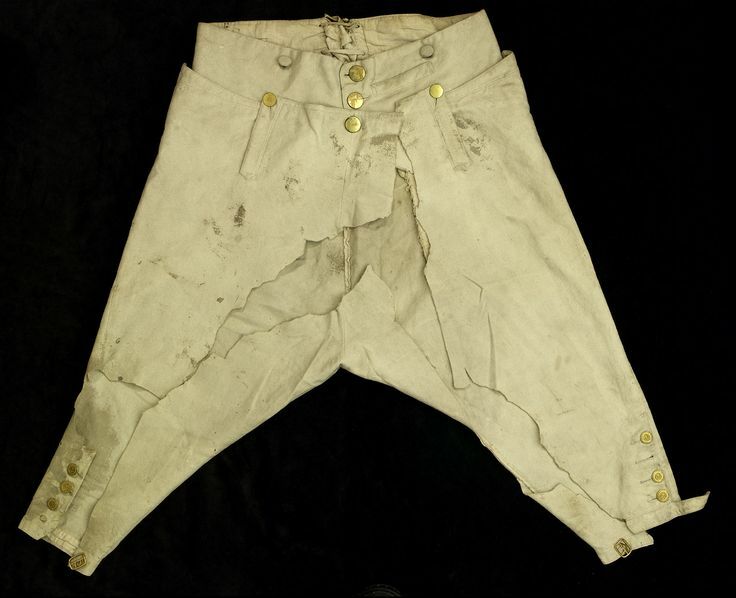 Skeleton suits were first seen as an item of children’s dress during the 1780’s and continued to be used until the 1840’s. 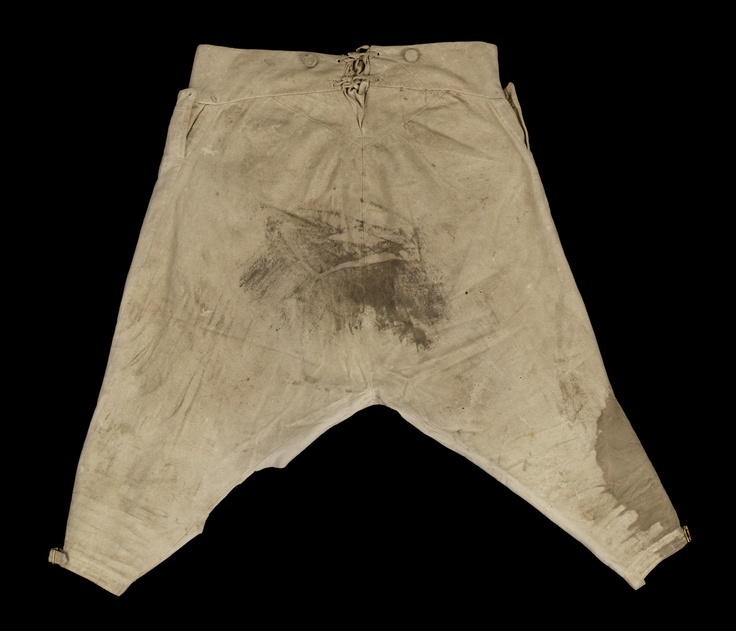 They were really a form of the modern romper suit, used particularly for boys. 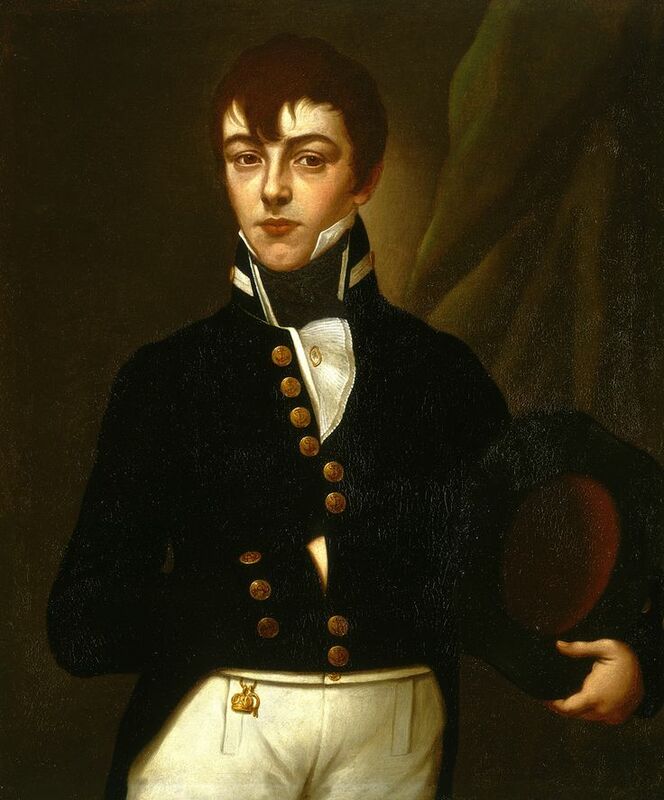 Skeleton suits were often a jacket and pants combination that were buttoned together at the waist. Sometimes the suit included a waistcoat. 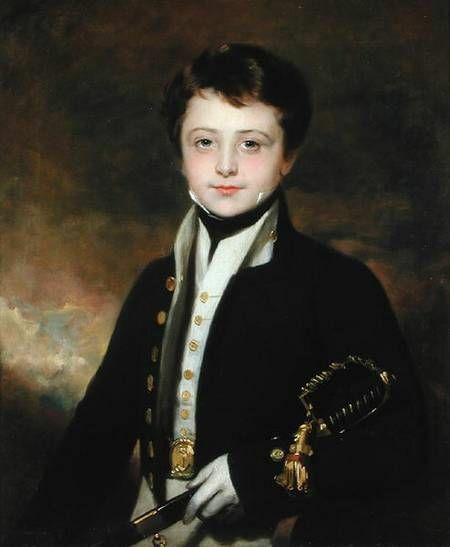 Underneath the suit, the child often wore a white collared shirt with a ruffle on the collar and cuffs. 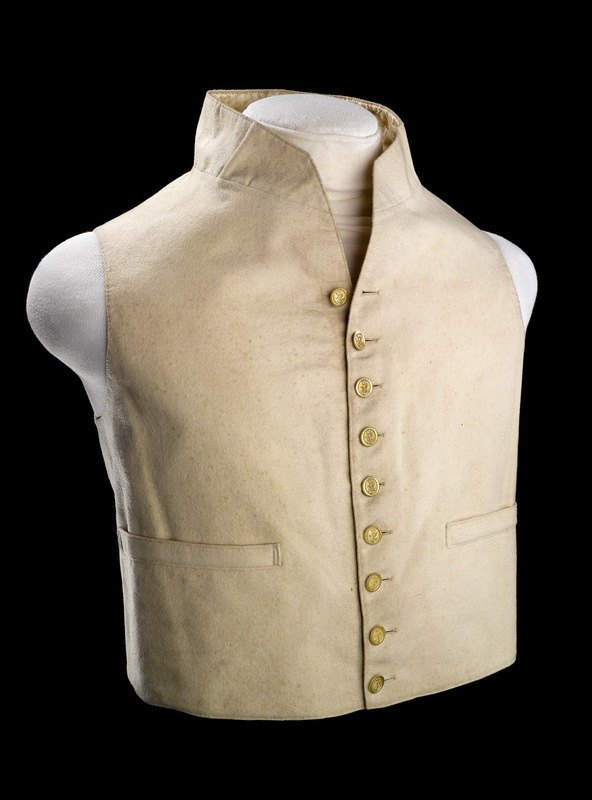 A boy’s shirt, with a deep square collar edged with a frill, c. 1770’s. From Historic New England. This first post in this series is about making the little shirt to go underneath the skeleton suit. Boy’s shirts during this era seem very similar to men’s shirts, in that they are largely made from rectangles and squares. 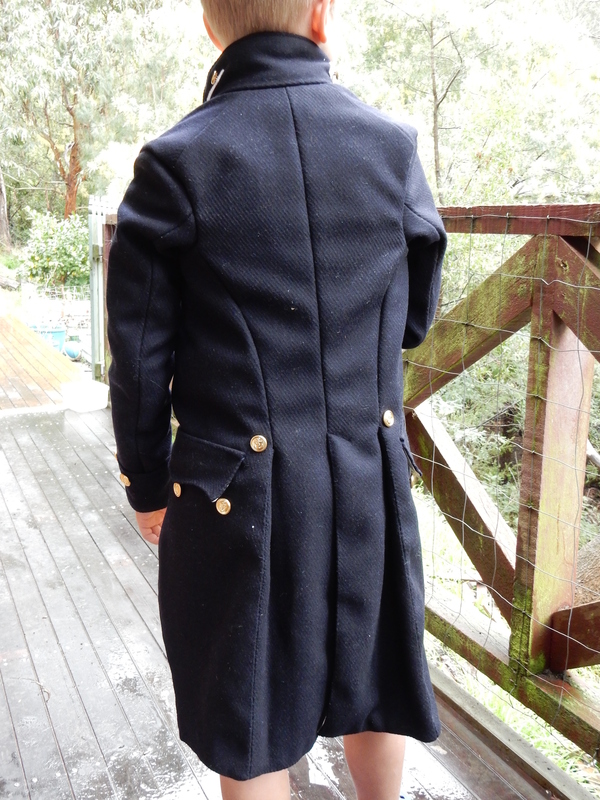 The main difference seems to be the deeper, fold-down collar, often trimmed with a frilled edge, that was turned down over the top of the jacket. 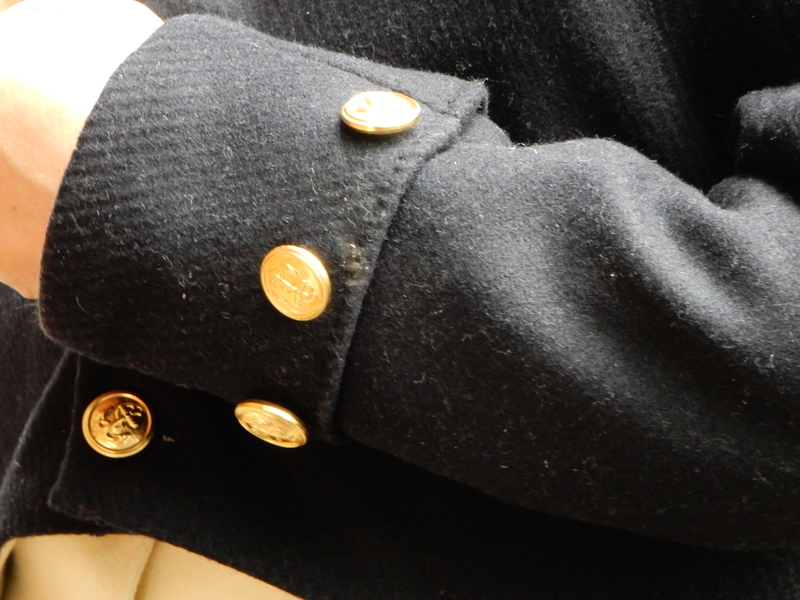 The front of the shirt had a large opening that was also edged with a frill, as could be the sleeve cuffs. 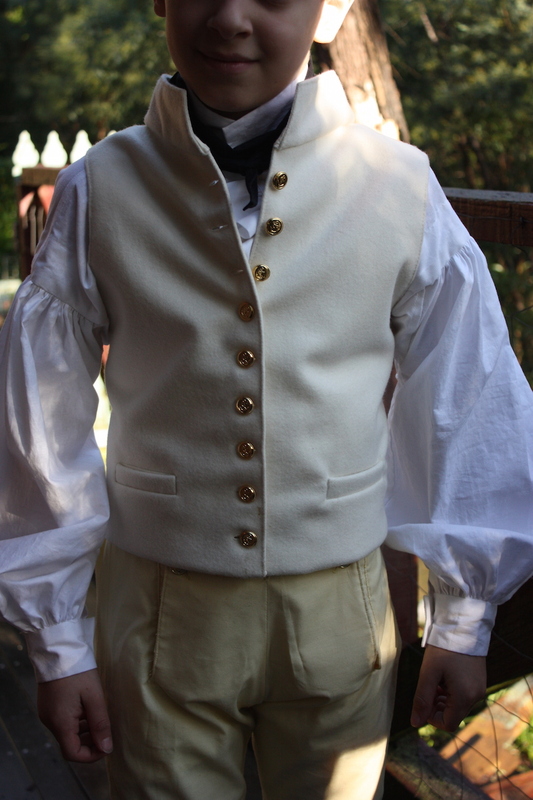 The pattern I used for the shirt was based largely on what I know of 18th century men’s shirts, and so was very similar to the ones I have made before. 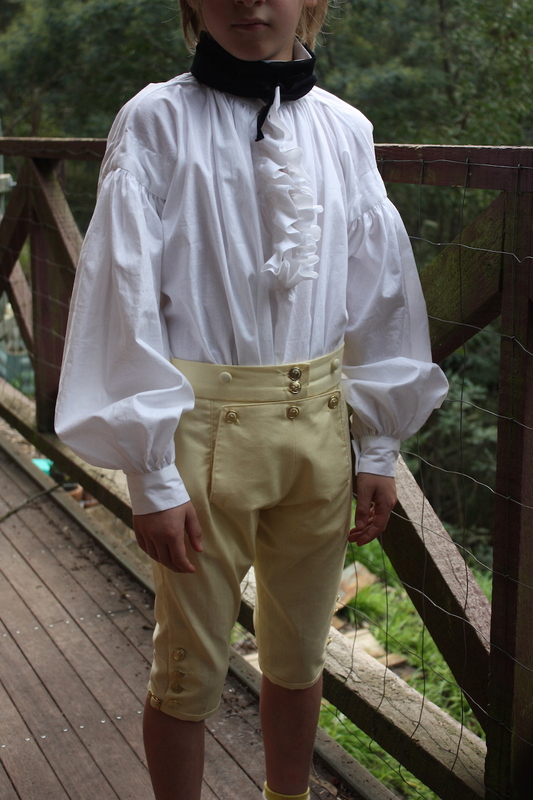 The only difference was that I made a wider collar and added the frills. 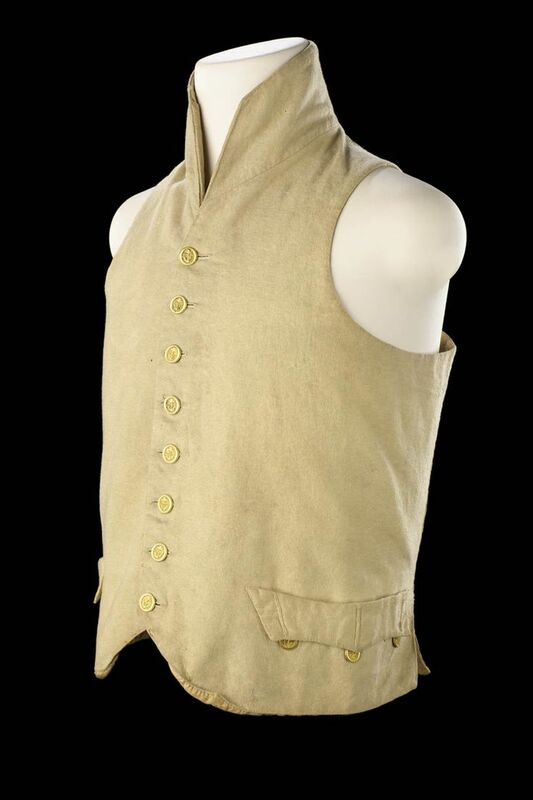 A boy’s shirt, American, c. 1790’s. From the Museum of Fine Arts. 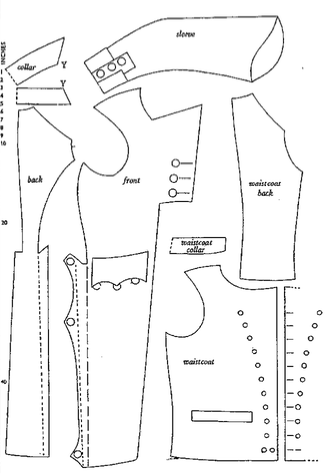 I found the site, “Making a Men’s Shirt” (by Marquise) to be invaluable for detailing some of the historical aspects of construction. As the construction steps are very similar to the previous shirts I have made, I will not detail them extensively here. 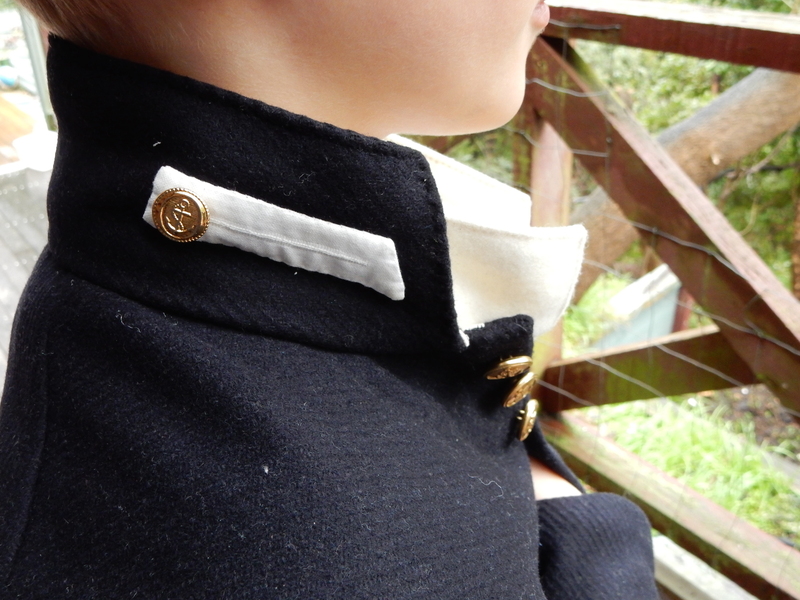 Collar: I made the collar in the normal way, except that it was a different shape. 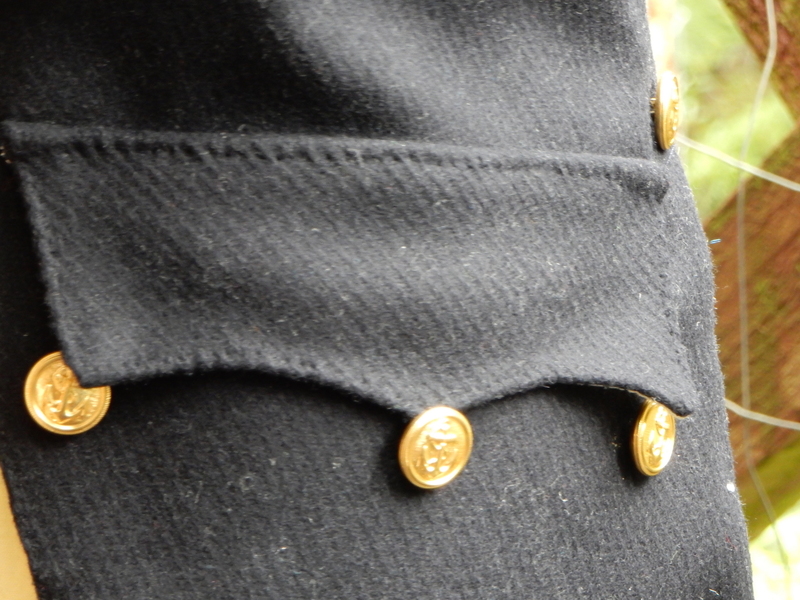 It was a lot deeper and the front edges (or corners) of the collar I made curved. 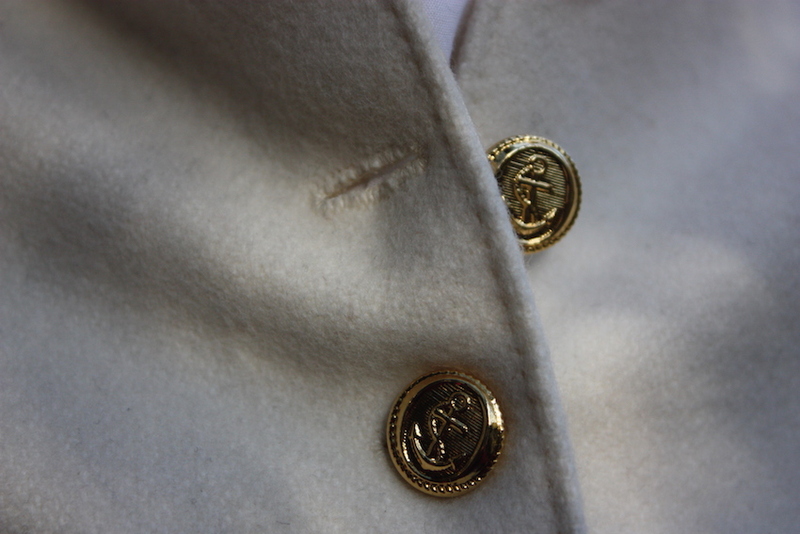 The shirt collar, wide and curved. This piece has been sewn right sides together and turned the right way, with one raw edge turned up. 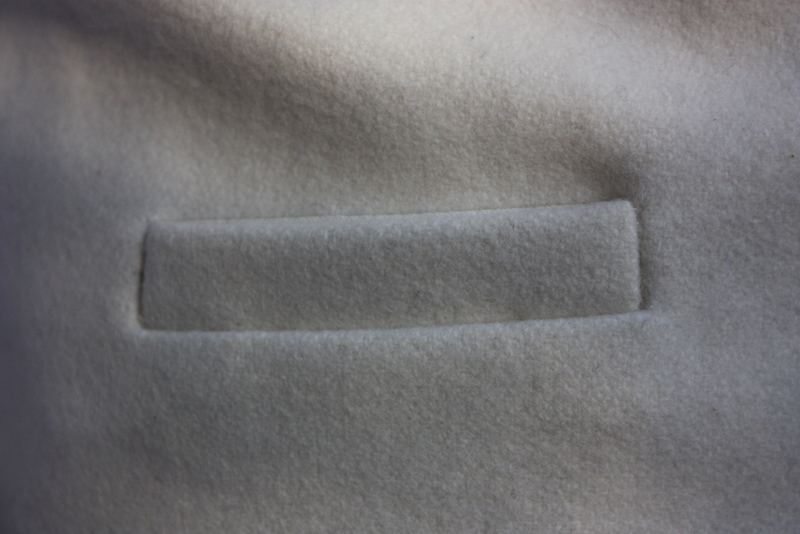 The unturned edge is sewn to the garment and the turned-up edge is handsewn down on the inside of the shirt. 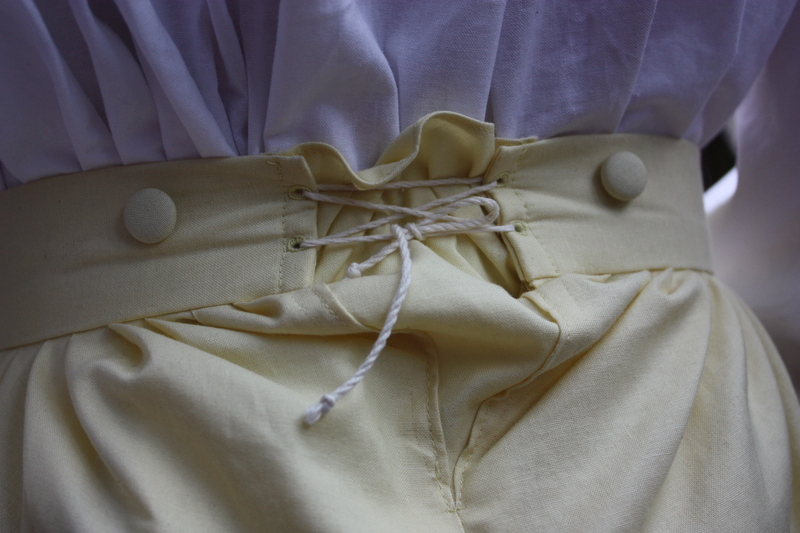 Frills: Whilst the rest of the shirt was made by machine, I decided to make the frills by hand. 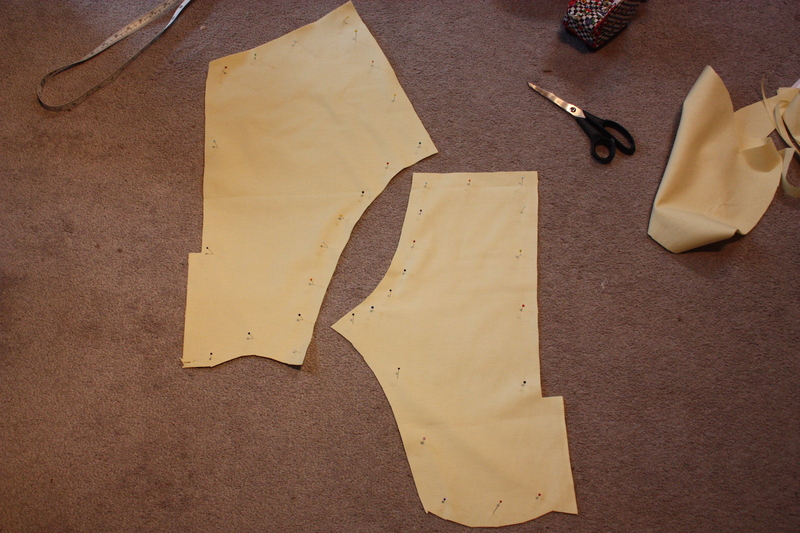 I measured the length of the seam where the frill would be sewn and doubled it to get the length of the frill. 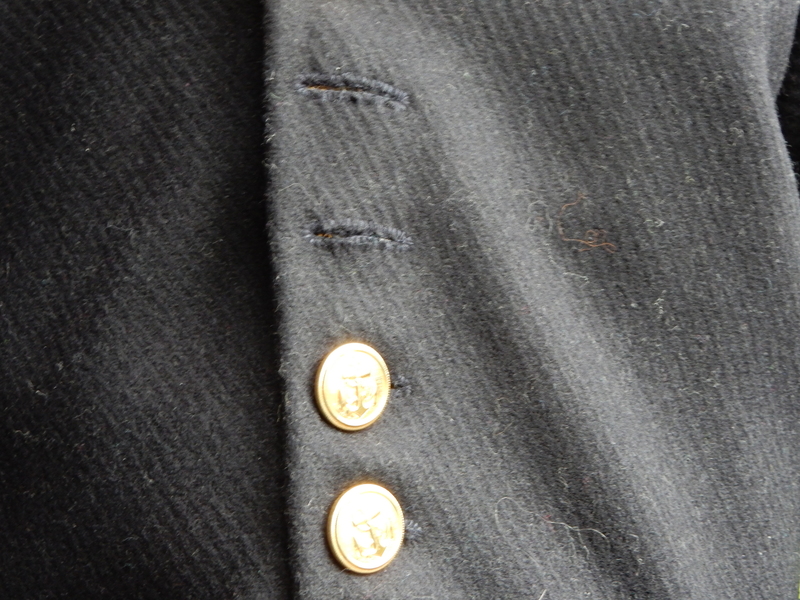 I did a rolled hem on one edge of the frill, and then did a whipped stitch gather on the other edge. 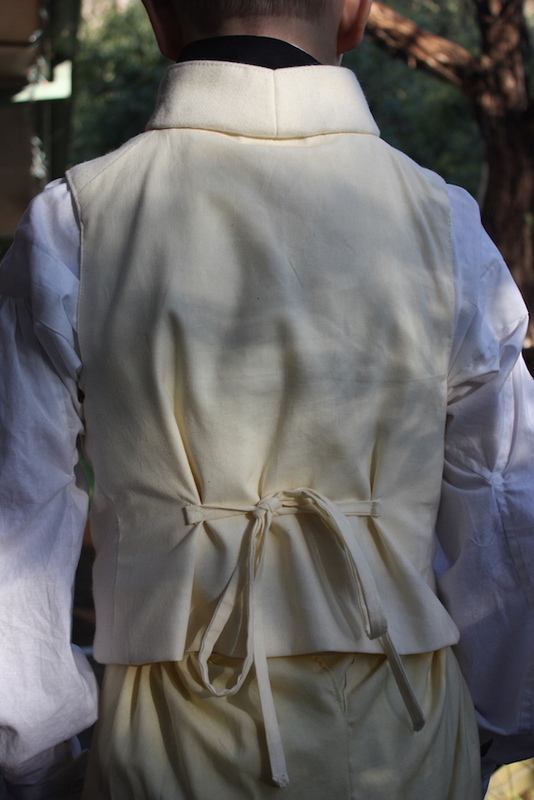 Once it was gathered to fit, I whip-stitched the gathered edge to the edge of the collar and centre front edge. 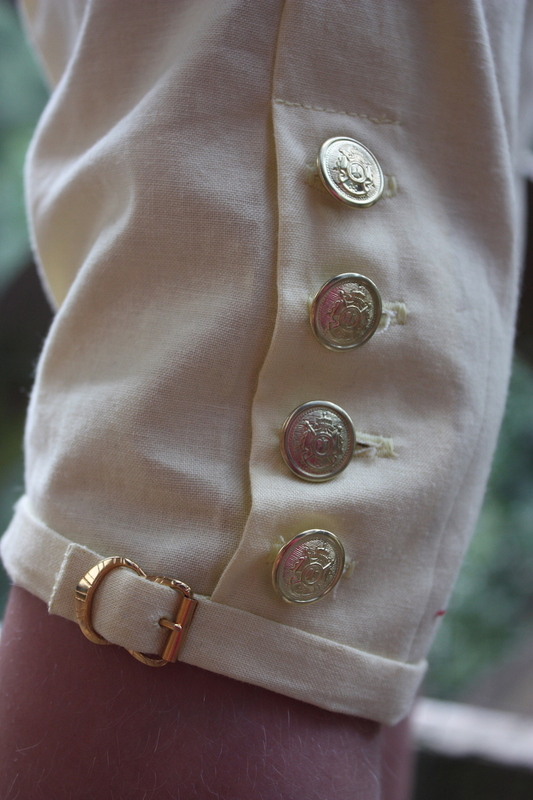 The collar frill, gathered with a “whipped-stitch-gather” stitch and then attached to the collar with a whipstitch. This is how it looks on the little man! Unfortunately the light was not very good, so hopefully there will be better pictures to come. 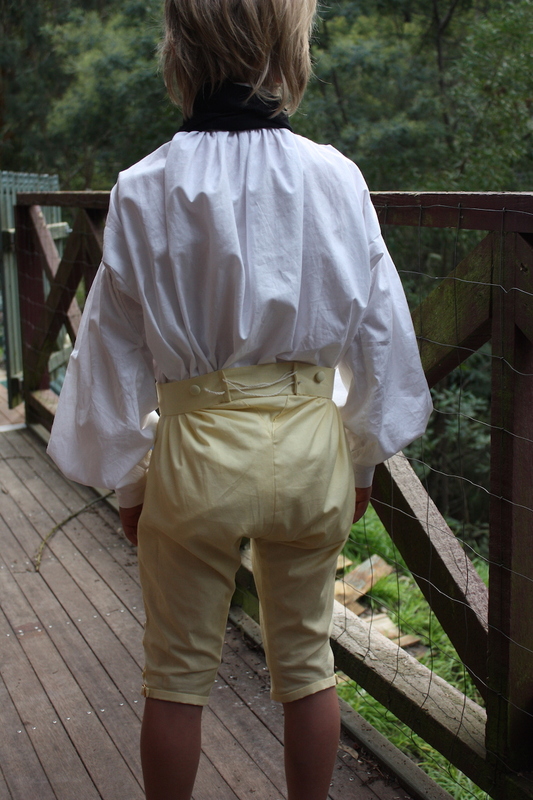 The next post in this series will be on making the pants for the skeleton suit. Image Source: “The Hulsenbeck Children” by Phillipp Otto Runge (1805-06).